Ask Cheri: Do Topical Marijuana Products Really Work? 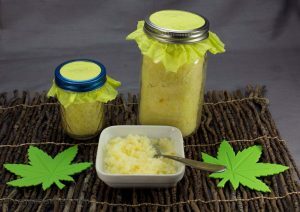 You are at:Home»Ask Cheri»Ask Cheri: Do Topical Marijuana Products Really Work? Do topical cannabis applications really work? I find this hard to believe. It may seem difficult to believe that rubbing or slathering on a cannabis infused lotion, salve, or balm could actually get real tangible pain relieving or anti-inflammatory results, but there is actually solid science behind it. Topical cannabis, with one exception — click to read about it here, cannot enter the bloodstream and won’t make you high or a fail a drug test. Nonetheless, it can provide therapeutic benefits by bonding with the CB2 cannabinoid receptors that are abundant in the body’s largest organ, the skin. Most people use cannabis infused topicals for relief of localized pain, muscle soreness or to reduce inflammation. But new evidence is emerging that they can also be effective for skin conditions like psoriasis and dermatitis. 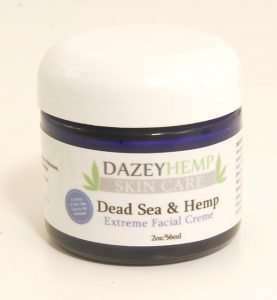 Some topicals are made with THC rich decarboxylated cannabis. That means the marijuana has been heated into order to turn the THC-A (or THC acid) in the raw plant into THC, especially effective for sore muscle type pain. However many topicals choose to not decarboxylate preferring to keep the THC in its acidic form, as THC-A is effective for its anti-inflammatory and neuro-protective properties. 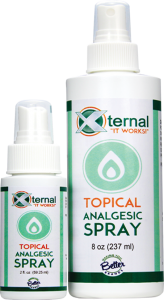 Choose a THC-A rich topical for inflammatory pain, such as arthritis. 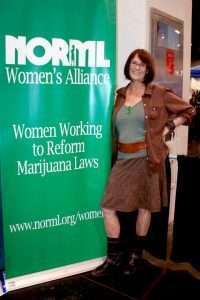 Writer Cynthia Johnston found relief from topical marijuana. As the market expands, a dizzying array of topical cannabis products are hitting the shelves including balms, salves, lotions, creams, bath soaks, massage oils and more. There are even topical marijuana applications specifically made for pets! We are not sure if seniors are ahead of the curve when it comes to topical cannabis, or if they just have more reasons to use it, but in interviewing dispensary managers around the country, they all invariably report that topical cannabis products are especially popular with the over 50 crowd. If you’ve been curious if topical cannabis might work for you, why not give it a try. Like Cynthia Johnston, you might just find relief is closer than you think. Will Topical Marijuana Products Make You High or Make You Fail a Drug Test?